LOS ANGELES, CA – Citing intellectual property infringement and personal damages, the Smurfs filed a class action lawsuit against The Blue Man Group for $100 million. The lovable gang of miniature, blue misfits recently released Smurfs 2, which has a 12% rating on Rotten Tomatoes and has generated box office receipts $8 million below expectations through the first two weeks. 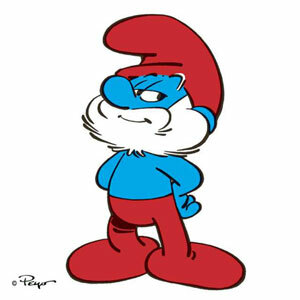 “Smurfs 2 has an amazing script and was expertly directed,” read Papa Smurf at his tiny press conference podium. “Additionally, the American public loves sequels, especially sequels to children’s movies. Therefore, we believe the only reason for our hardship is the dilution of what we call ‘blue appeal’ brought on by The Blue Man Group. We were the originals.” Brainy Smurf presented all the calculations showing how The Blue Man Group stole the Smurfs’ identity and profited off the “novelty” of being blue, and Smurfette stood there and looked cute. In response, The Blue Man Group just stared awkwardly at the group of reporters before they banged on drums covered in paint and threw marshmallows into their mouths from an impressive distance. Included in the Smurfs’ lawsuit are the Na’vi from Pandora, the Hindu God Vishnu, and depression.